Do you have a need to work with advanced diagrams and vector graphics, but don’t want to drop the money on Microsoft Visio? Well, thanks to today’s discount software promotion, you won’t have to compromise! It’s MyDraw! MyDraw is an advanced diagramming software application and vector graphics tool that represents a cost-effective alternative to MS Visio. 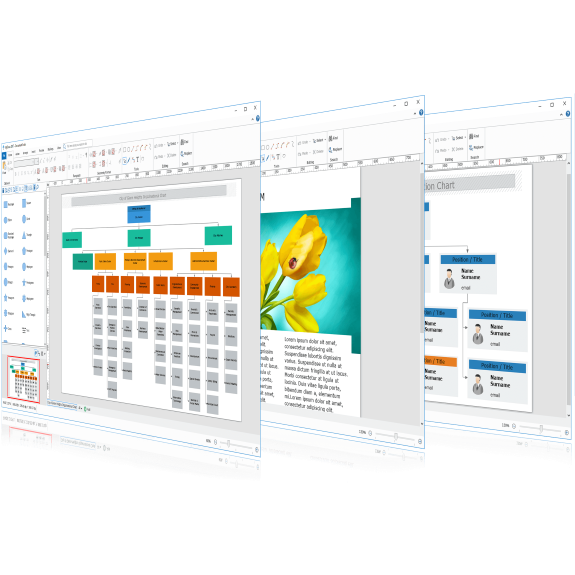 With MyDraw, you’ll be able to build flowcharts, organizational charts, mind maps, network diagrams, floor plans, family tree diagrams, business model diagrams, flyers, certificates and many more – everything you can do with Visio, but at a fraction of the price. Even if you have no previous experience with diagramming software, MyDraw gets you up and running quickly with an included collection of templates, shapes and symbols that are ready to go, right out of the box! Best of all, you can import and export Visio files using MyDraw, so your conversion will be seamless! After you purchase MyDraw it may be used indefinitely. MyDraw is licensed per computer, and not per user. Upgrades to future versions of the software will be free up to the next major version. For versions after that, upgrades will require additional payment, which will be discounted by 50%. Yes you can open/edit/save Visio files on the Mac. In certain cases the formatting may not be 100% identical. If you have a Visio file which does not look identical please send it customerservice mydraw.com for review. MyDraw In order to have line jumps you need to connect the shapes using a connector (most likely you use the line tool for this purpose). Connectors are inserted when the currently active tool is the connector tool. It is indeed misleading for which we apologize. However all users of this version will receive 3.0 for free (and all updates in between). Version 3.0 adds full support for UML, tables, styles and many other improvements and is just a month or two away. At the moment, the feature which you are searching for is not implemented in the software. However, in a new version ( or upgrade) we will consider your suggestion. Thank you for the input.